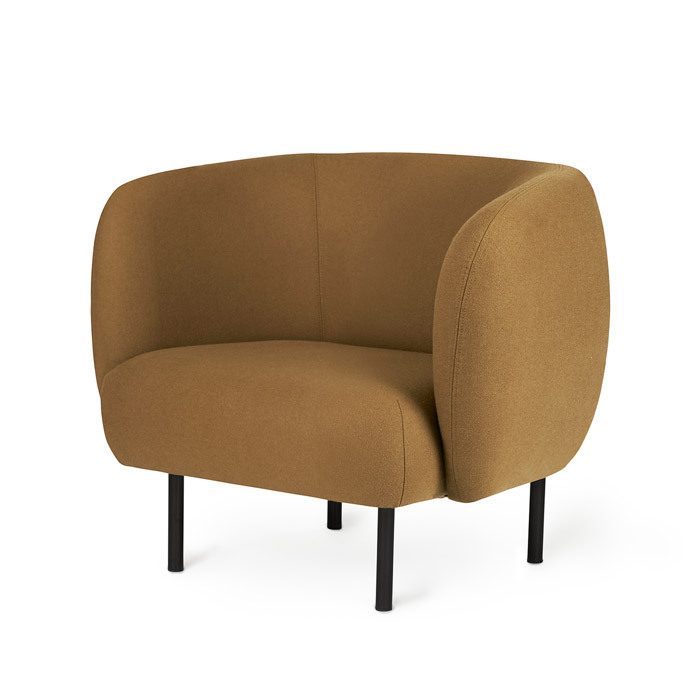 An elegant armchair with an organic design designed by Charlotte Høncke. 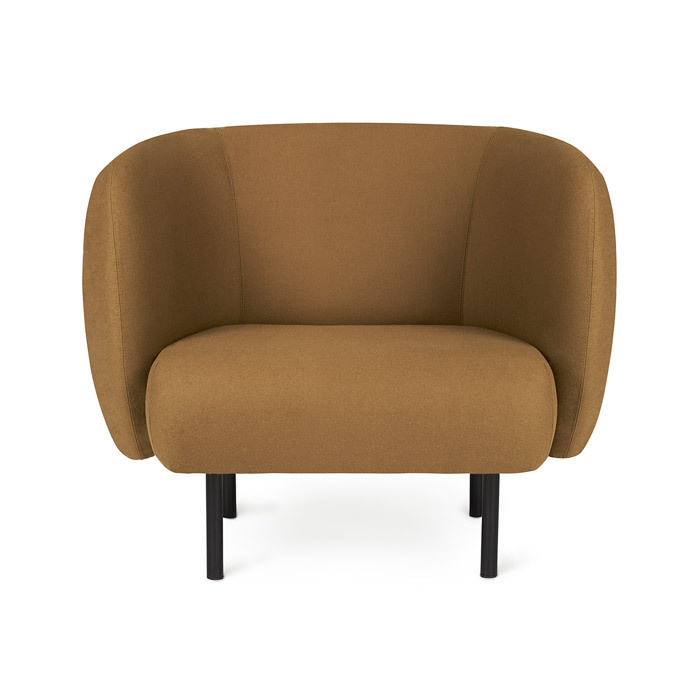 Its soft lines and chic details make the Cape armchair a real eye-catcher. The chair is lovely to sit in, maybe even more so when accompanied by the sofa from the same range. 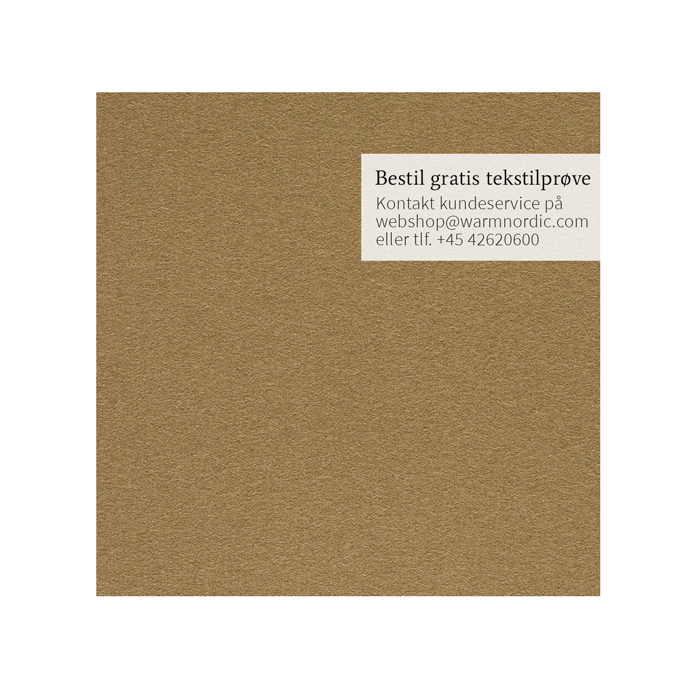 Both items of furniture are available with or without visible stitching. In the Cape armchair’s simple, yet rich design there lurks a detailed aesthetic and an implicit sensuousness. 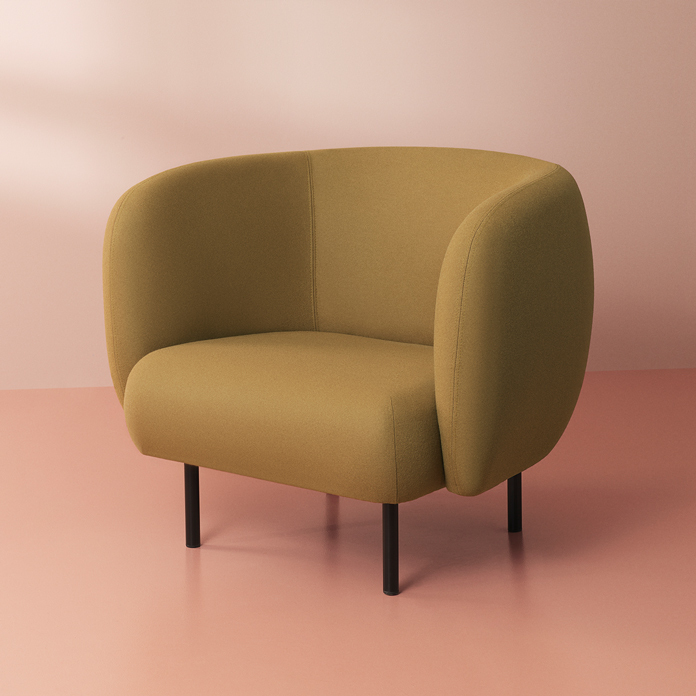 The Cape range is covered with exclusive furnishing fabrics, including ‘Hero’, whose soft, almost felt-like surface complements the armchairs organic shape, and which is designed by Patricia Urquiola. The armchair looks just as elegant in a modern building as in an old-fashioned luxury flat and has a light look by virtue of its slender metal legs. The same range designed by Charlotte Høncke also includes a Cape sofa. The two items of furniture complement each other, both with and without stitches, preferably mixed to provide a more vibrant expression.